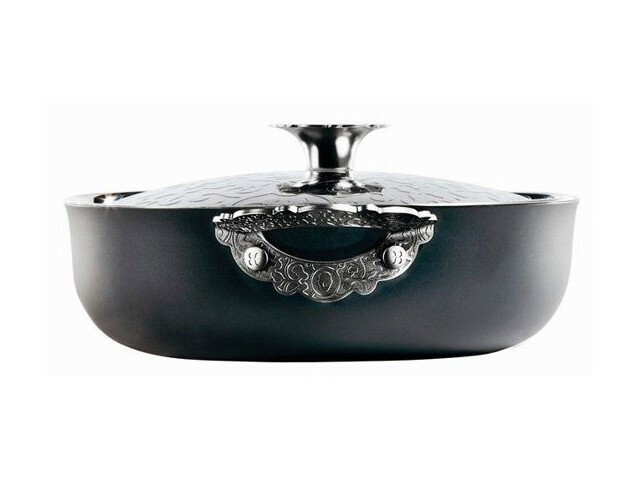 An attractive combination of black saucepan (24 cm ø) with polished stainless lid featuring a relief pattern. A design from the Dressed by Marcel Wanders collection for Alessi. The pan has aluminium handles, a non-stick layer, and steel base. This Alessi saucepan is a real beauty in the kitchen and on the table. This black Alessi 24 centimeter diameter saucepan has aluminium handles and a steel base. 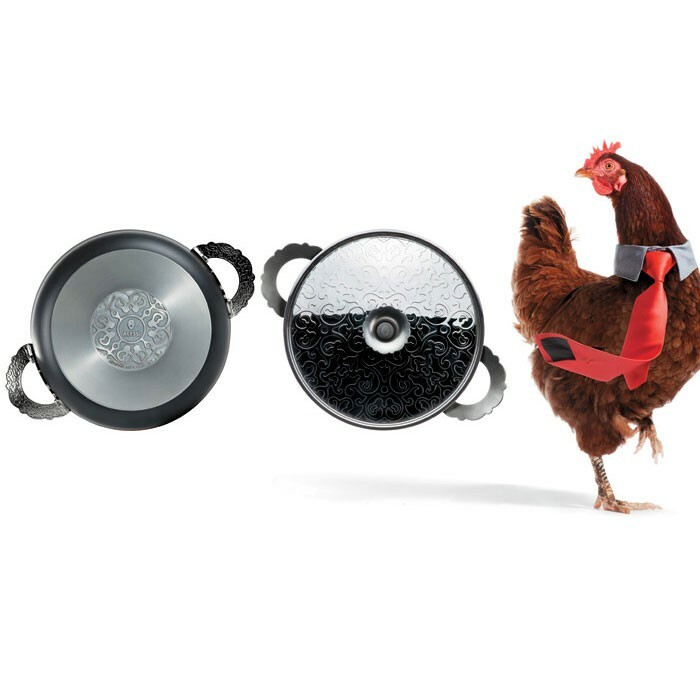 A Marcel Wanders design for the Dressed collection from Alessi. With a non-stick layer. An ideal pan for stewing and frying, for example with poultry, meat, and vegetables. It is the lid, above all, which sets this saucepan apart. This special stainless steel lid has an attractive decorative relief, which stands out from the lid's glossy surface and contrasts beautifully with the black pan. 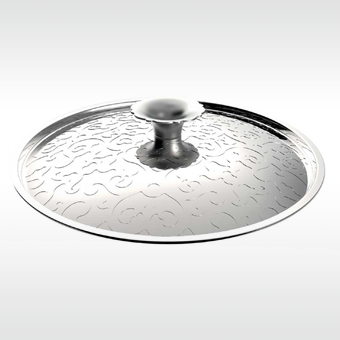 The lid's handle features the famous Marcel Wanders logo. Eye-catching design for the oven and table. Alessi, a family business situated at the foot of the Alps, is a unique combination of industrial production with a research centre working in the field of applied arts. Over the years, Alessi has manufactured designs by more than 200 international designers. From Phlippe Starck to Alessandro Mendini and from Ettore Sottsass to Marcel Wanders. 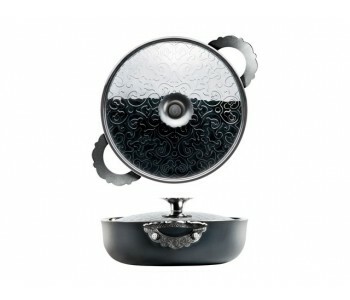 Among other items, Marcel Wanders has also designed watches, cutlery, pottery, and glass tableware for Alessi.